It was one of those throwaway remarks made by one writer, male, to another, ditto, in one of those books of the year things. ‘It’s been a very thin year for poetry.’ What balls, I thought. To his credit the second writer thought the same. For a start, it’s not true. This has been a very fat year for poetry. But let’s go further: it’s never true. A year with poetry in it is always a good year for poetry. Fat or thin doesn’t come into it. I think of what Adam Phillips once said about starting out now, at this moment in history, as a poet. ‘There’s never been a better time,’ he said. ‘The rewards get fewer and fewer, the chances of being noticed almost nil. Perfect conditions for saying what you really want to say.’ I don’t think he was being sarcastic, I think he meant it. There is no career path. There are merely -merely!- the rewards of reading and writing. There has never been a better time to be a poet. There has never been a less thin/more fat year for poetry. This year, just like every year before it, a golden age, if only we had eyes to see it. A friend of a friend told me that his friend had begun reading Adam Zagajewski. I knew him, of course, but only as an anthology poet. (I have even workshopped him.) Immediately I felt the gap on my shelves pricking my conscience so went out and bought Without End: New and Selected Poems. I didn’t look at anything else for weeks. It has been a very fat year, not thin at all, for poetry. Another friend got in touch in the spring. Marie Howe has a new book coming out, she said. It’s called Magdalene. When the fat year of poetry comes knocking at your door like this you know it is a fat year of poetry. 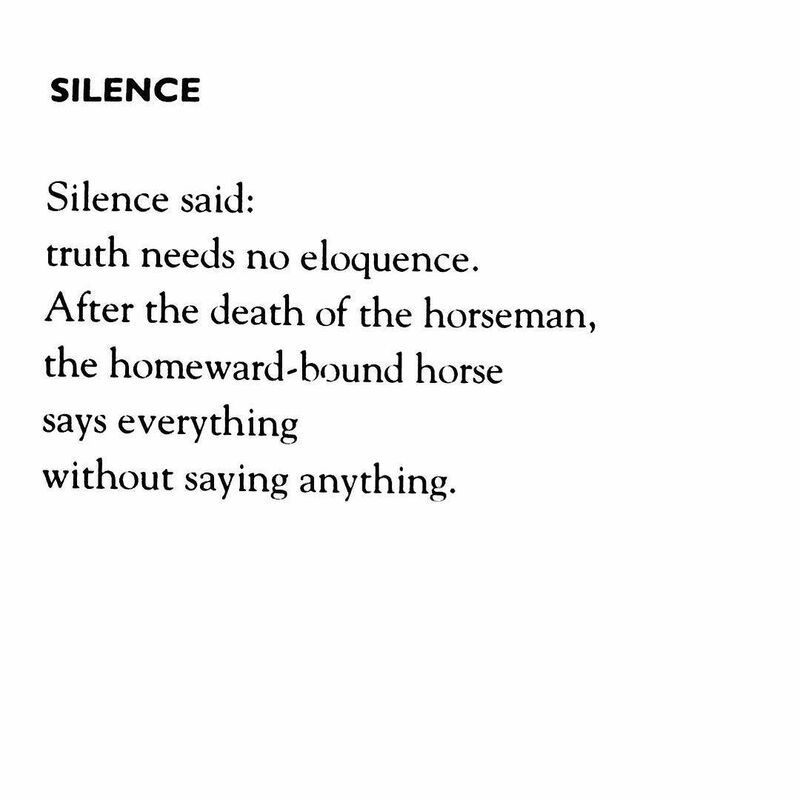 I want to say ‘astonishing’ and ‘miraculous’, but I have seen those words used before to describe Marie Howe’s work. While I want to say they are true and the people who wrote them are right, I also want to add that reading her work it is a bit like falling in love. It takes you over. Overwhelming, in every sense, in all of the senses. So I would be ready I re-read What the Living Do and The Kingdom of Ordinary Time. And realised, to my shame (see above) that I did not posses The Good Thief, a situation I quickly rectified. I think if the year had finished there it would have already been a very good year for poetry in my life. In the autumn, like buses, two readings came along back to back, the only ones of the year. There I was with Lawrence, enjoying being sped by him down Devon lanes to reach the bookshop in time, when he mentioned his good friend Hubert Moore had brought out another glorious book of poems, The Tree Line (Shoestring Press). Please, please buy it. To support the great Shoestring Press, but also because Hubert Moore should be a household name by now and isn’t. His book is indeed thin, but his poems are deceptively light-looking and secretly knockout both in their both craft and content. I have promised to buy myself his entire back catalogue with my Christmas money. Can you see the pattern of fatness that has been laid down? One poet speaks to another poet of a poet she or he is reading. Pass it on. You know you want to. This is how poets arrive in my life. I got a text telling me, actually telling me, to order Driver, Naomi Jaffa’s first pamphlet for thirteen years, from Michael Laskey’s Garlic Press. I can’t tell you how much pleasure this book gave me. Every single one of the poems comes across as direct and driven by awareness of its own need to get written. There is rage, here, and beauty, and brokenness. And the poems don’t seem to care much whether I love them or not. Which I do. Madly. A week or so later the same poet texted again ordering me (again) to buy Clive Wilmer’s astonishing (no, but this really is) introduction and selection of the poems of Thom Gunn (Faber). If I ever read a more generous, subtle, wise, tender and insightful introduction to a poet (who is somehow still not a household name) I will die a lucky man. The book, literally, is a revelation. something gives me reason to doubt. the earth revolves according to your wish. like cypress branches in the darkness of a fireplace. while what we build is carried away by elegies. while your hands are destined for the champagne of triumph. Why do I not see you dancing? How much victory do you need to be victorious? that makes you so scared? And just before the holidays, a gift of a book from my dear friend Christopher Southgate, of his Rain Falling by the River: New and Selected Poems of the Spirit (Canterbury Press). No one else writes lyric poems of enquiry into place, space and stillness like these. My personal highlight? 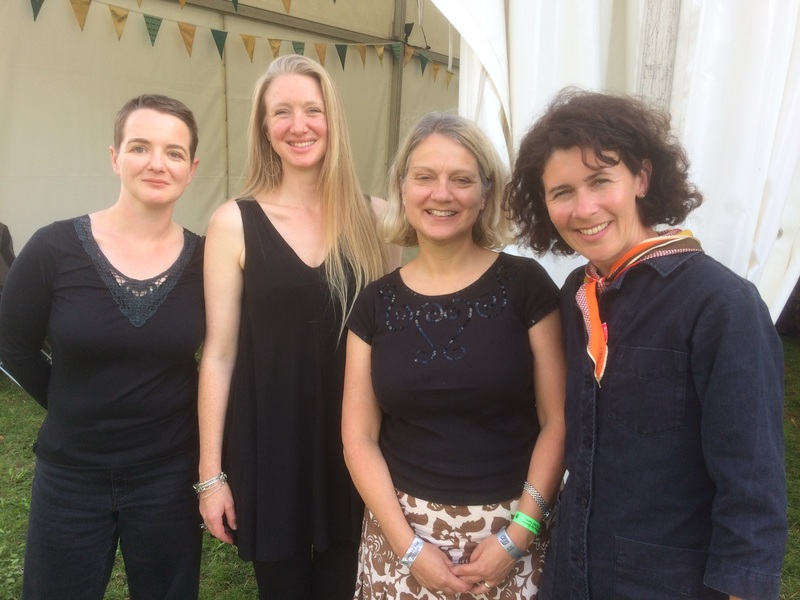 I was given the opportunity by Greenbelt Festival to curate an afternoon of poetry, so I chose four of my favourite poets. In Poetry for the Common Good Josephine Corcoran, Nancy Campbell, Rebecca Goss and Sasha Dugdale gave readings of pure power and concentration, listening to and engaging with each other with grace and generosity. I am deeply grateful to them for the exemplary way in which they shared their stories. I shall not forget it. I read John Ashbery in splurges. My last one was five or so years ago. I used the occasion of his passing in September to revisit some old favourites, as well as expand my storehouse of strangeness. I was glad I did. This, though, was nothing compared to the constant companionship I have kept throughout the year with the work of James Schuyler. I find he is rapidly becoming my go-to poet, the one I can read in the morning, late at night, when I am tired, elated, stressed out, or merely wanting to pass the time of day with, in any kind of weather, whatever I am feeling. I can think of no higher praise. Wonderful books of poems were released this year by Michael Longley (Angel Hill, Cape), Michael Symmons Roberts (Mancunia, Cape), Tania Hershman (Terms and Conditions, Nine Arches), Rishi Dastidar (Ticker Tape, Nine Arches), and Jacqueline Saphra (All My Mad Mothers, Nine Arches), Matthew Stewart (The Knives of Villalejo, Eyewear), and Zayneb Allak (Keine Angst, New Walk). For the record. Not that we are counting. Not that it’s a competition. Not that it’s a thin year for poetry. Not that it ever is. I like to put a face to a poet’s name, so looking at the photo of your four poets, I was reading left to right as you had named them. However, Josephine (the only one I know) is not first on the left, she’s third, so that left me wondering who was who. Will you enlighten me, please? Wishing you a fat Christmas of poetry and a fatter year to come! Thank you so much for including me, Anthony, in this glorious post! My pleasure Tania! It’s a great piece of work. Hats off! Brilliant. Thank you, Anthony. I love the Adam Phillips quote at the beginning of your blog. Thank you for your generosity in sharing and the enthusiastic way in which you do this. I will enjoy getting ‘fat’ on your suggestions! Great to see Zayneb Allak (Keine Angst, New Walk) in your top picks! I was on the judging panel when Olivia won the Aldeburgh Fenton First Collection Prize – I absolutely loved it. She should be much more widely known. Some lovely recommendations and such hunger to discover new writing – not that I would expect anything else from you Anthony!